Spring this year has been late. Winter seemed to drag its heels leaving us, and even after spending a week in Norfolk, in some much needed warm weather, I hadn't seen nor heard a cuckoo, which for me is one of the sounds of the season. While a trip to Otmoor ticked off that box, it was a trip to the Wyre Forest that provided this month's image. I had intended to locate perhaps pied flycatchers or common redstarts during the visit, but it was a much smaller bird that caught my eye, or ear initially. 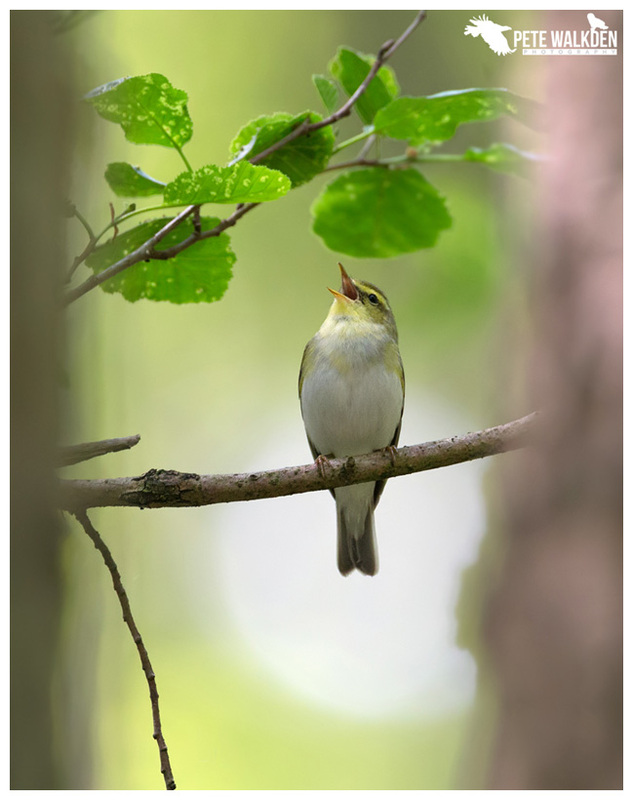 A wood warbler. These small migrant warblers arrive in spring and sing constantly, often from the canopy in woodlands, which can make getting images tricky. The Wyre Forest is helpful in that it is very hilly, and I found that I could stand on an embankment, and be almost eye-level at times with the warblers. Then it was just a case of locking on to the bird as it sang, before it relocated.